It’s time to re-read some books! 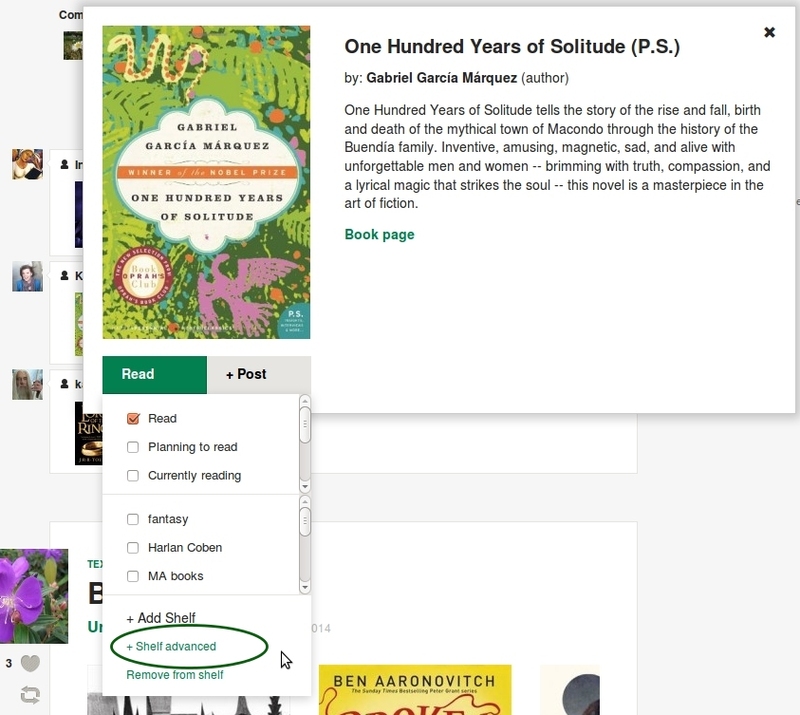 Now you can add as many read dates to your books as your wish. 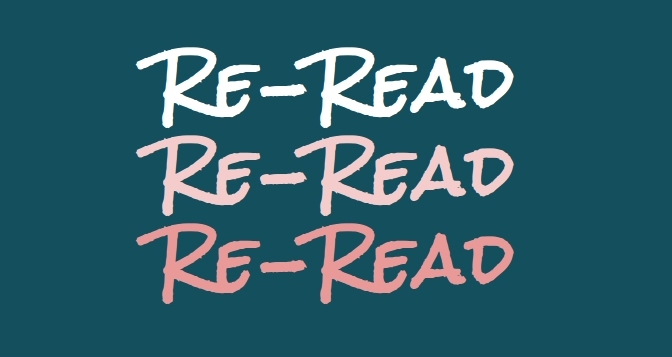 What’s more, your BookLikes Reading Challenge will include the re-read titles, and your reading history will be presented on a book page and on your shelf. 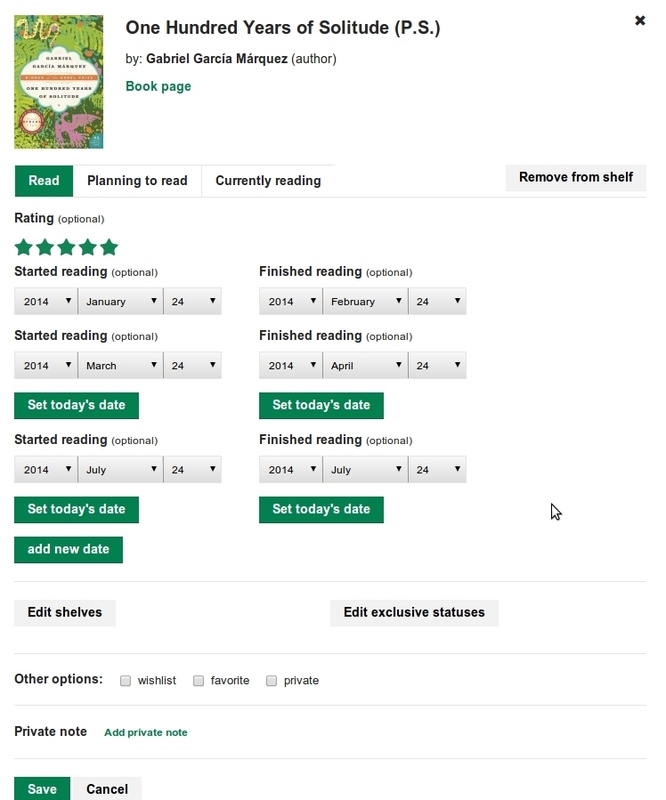 Read dates can be added in +Shelf advanced and in your shelf table view. To add more dates, click add a new date, insert the started and finished reading dates and Save. The book on your Shelf will receive a re-read icon. Once you press it, you’ll see all your dates, you can easily update them and add new ones. 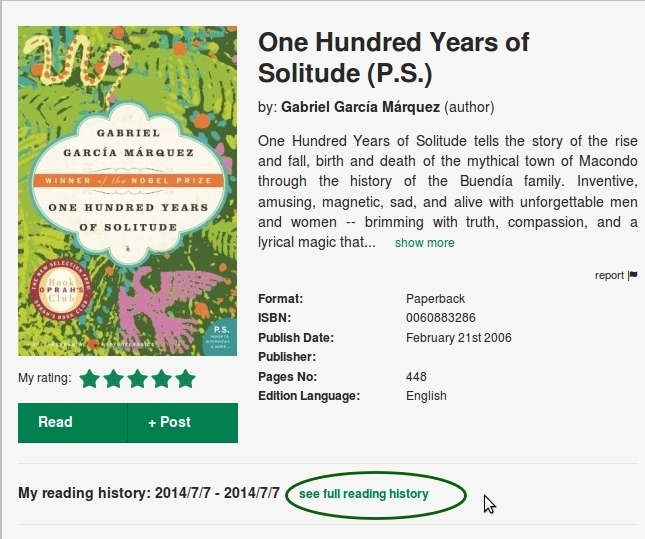 You can view your reading history in the Shelf table view and on the book page. 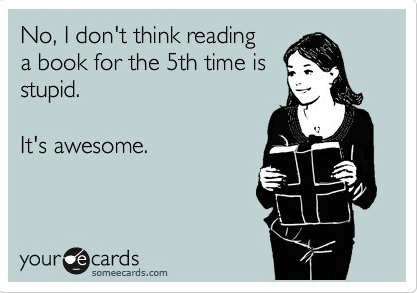 The books with multiple read dates will be also counted to your BookLikes Reading Challenge. P.S. The following card seems to be perfect for today's release :) Let's do it! I LOVE THIS!!!!!!!!!!!!!!! Why can't GR do this? They have been around forever, and still don't have re-read dates. Bl is now my favorite book site.